Long-time followers of Nintendo Life will know that we've tried to keep abreast of the battle for the Donkey Kong high score record for many years now. 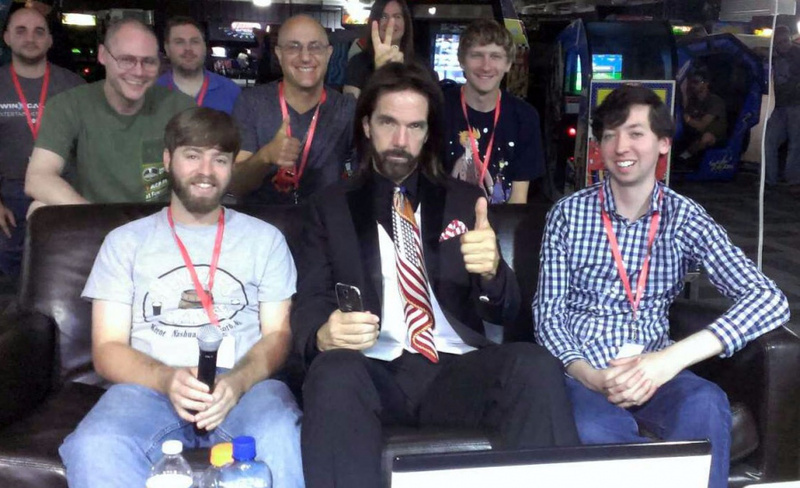 The obsession began with the excellent movie King of Kong, which focused on the efforts of underdog Steve Wiebe to topple the then-champ Billy Mitchell. Since then, several other names have entered the narrative, including Dr. Hank Chien and Vincent Lemay. In 2014, we reported that another Kong expert by the name of Robbie Lakeman had successfully won the title from the previous champ Chien. In September 2015, Lakeman lost the title to challenger Wes Copeland for less than six hours before reclaiming it in emphatic fashion. Undeterred, Copeland pledged to take the record again, and it has just been announced that he has done just that. I'm not gonna play anymore, at least for a while. I can finally focus on things that should really matter to me at this point... Wes, definitely enjoy it, you'll have it for a while. I had the record longer than I thought I would... I just turned 29, I'm working on getting my life more in order. This was an outlet for a while, but I've gotten where I want to be with it. The torch has now been passed. Your hard work is incredible, it truly is. I see you do what you do, I see Robbie do what he does. It's a true example of hard work and dedication … and it's something you both should be so proud of, the amount of hard work it takes and the amount of character it shows to continue to try forward, it should benefit you in every aspect of your life. Donkey Kong messes with your mind. It's the only game I've ever played that does. Every player, the 1.2m, the 1.1m, the 1m, the 900k, the first-time kill screener, all the way down to even the player who clears their first 3rd elevator, deserves a tremendous amount of praise and respect for their hard work and dedication. It's one of the few games I've played that truly feels like psychological warfare, and requires a unique blend of dedication, imagination, and strong spirit to survive, improve, and progress. Robbie, like [former record holders] Dean, Hank, Steve, Billy, Ben Jos, and Tim, wouldn't have achieved what he did without a tremendous show of endurance, perseverance, and character. Robbie has indicated he wants to step away from the game for a little while, but I know in my heart that whatever he pursues in his life, he'll apply the same dedication to it as he did to the world record chase. I know he will be successful. As amazing as Copeland's score is, it still falls shy of Dean Saglio's 1,206,800 haul, which was achieved using emulation rather than on the original hardware - something isn't permitted in the high-score community. Who's the guy in the middle and what's he trying to sell me? @Blastcorp64 He certainly Loves This Land, all right. Just too bad about him being an insufferable jackass. @Stu13 look out! He might sue you. I think he makes a good anti-hero.? @TomKnows Honestly, I think that he overshot a bit if he was going for anti-hero. It makes me genuinely uncomfortable to listen to the man talk in interviews. And can you imagine if he did sue me over trash talking him in the comments on this site? I'd get a featured article interview on here for sure. 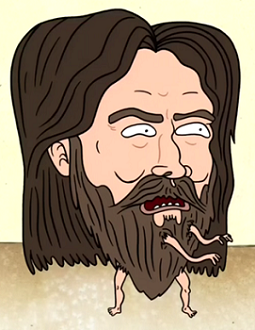 Billy Mitchell rocks. These other nuevo Kong Krazies (TM) are pretty cool too. More like Billy Bit*hole. What a scumbag he was in the king of quarters. Steve Weibe is the real hero, and a genuine nice guy. The documentary was awesome, but seriously, if these other guys are going to master an old school game, why can't they pick one that is at least more fun to watch them get ridiculous high scores on?